We were originally scheduled to dock in Warnemunde, Germany and take a train to Berlin, but due to gale force winds the port was closed. So, the ship instead docked in Kiel, which is the 3rd largest port in Northern Europe. It was great that we had an alternate option, but this meant that the train ride to Berlin was an hour longer each way (4 hours instead of 3). Daddy and I boarded the train around 7am, and I was able to catch a little sleep on the way to Berlin. When I was awake I saw that we passed through some beautiful countryside and the city of Hamburg. 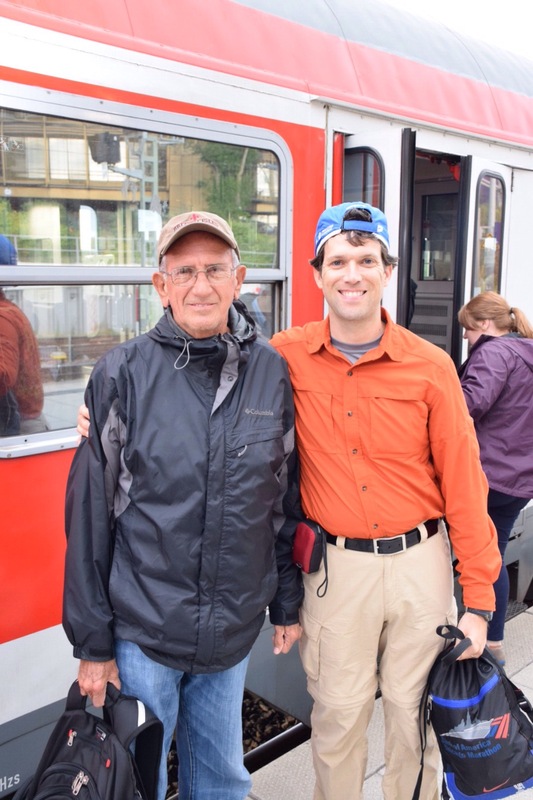 We had a guide named Chris who had driven in that morning from Warnemunde and helped us with questions, information, and snacks during our train ride. 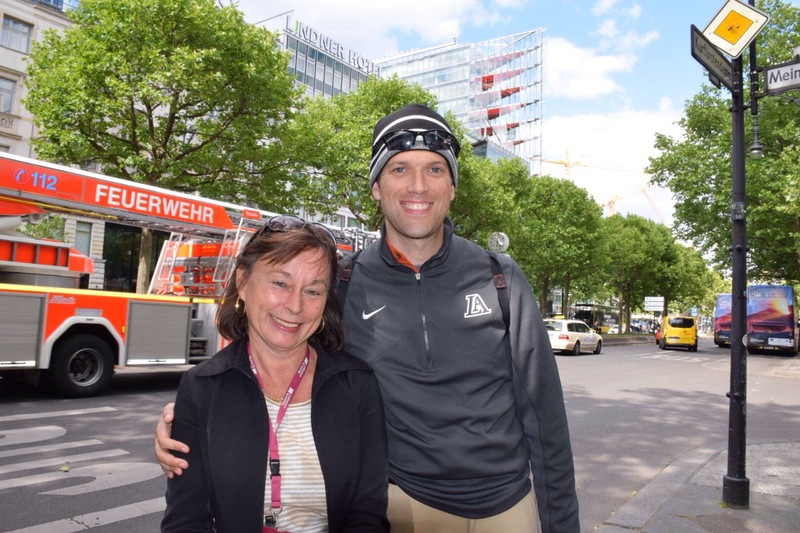 We arrived in Berlin around 11am and boarded a motor coach with our guide Majida Rudolph, who is a native of West Berlin, and was a great at giving information. 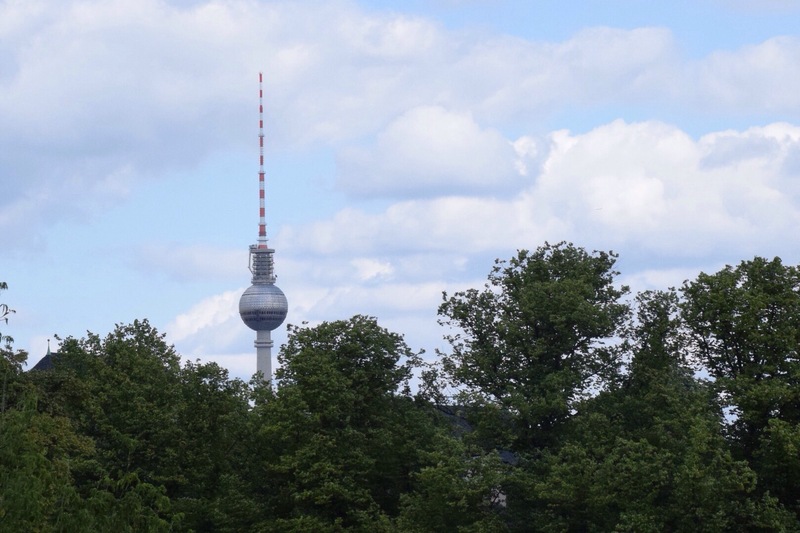 The first major thing we could see from the bus was the very distinctive TV Tower, which is at the geographical center of the former East Berlin. 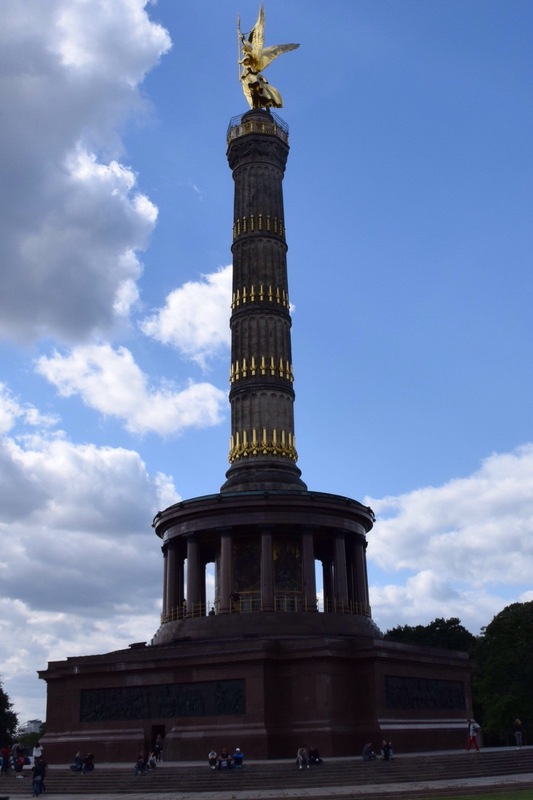 It was constructed 40 years ago, and is 360 meters tall with a revolving restaurant near the top. 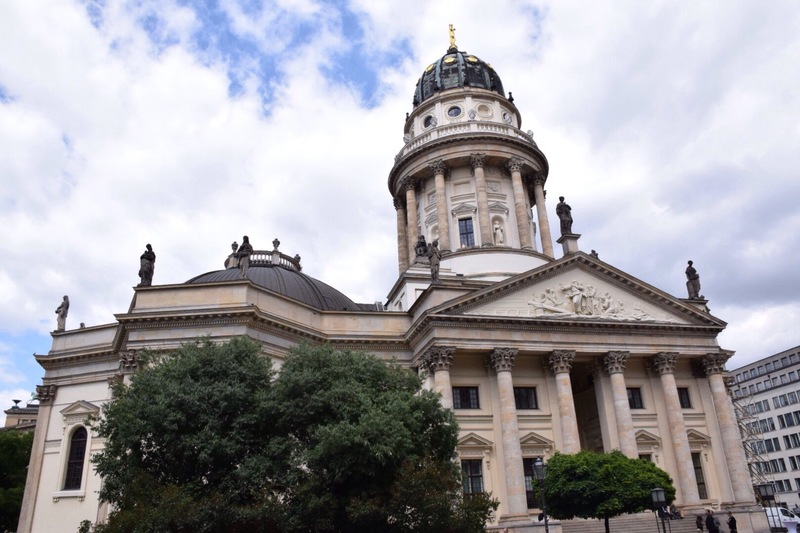 We also learned that most buildings in Berlin are 4 stories tall because a special allowance is required for a building to be more than 22 meters tall. 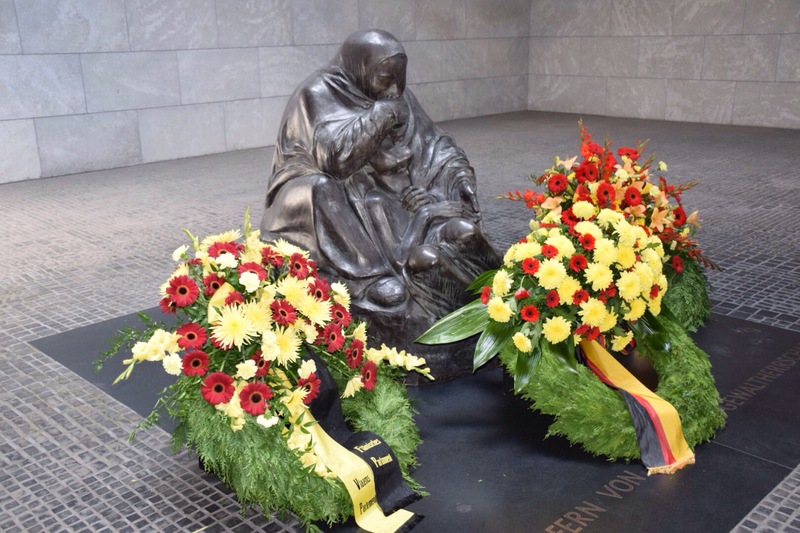 Our first stop was at a memorial called Neue Wache (New Guard) which is dedicated to all victims of tyranny. It contains a single sculpture of a mother holding her dying son. This was because the sculptor lost her son in World War II, and it represents her and her son. It was pretty moving. 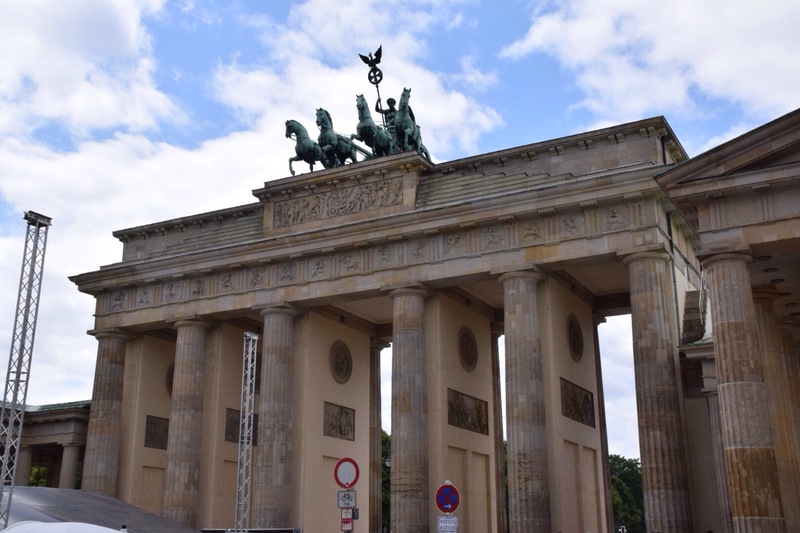 Our next stop was the Brandenburg Gate. This was built over 200 years ago as a gate for the emperor through the city wall. Only royalty was allowed to use the center lane that was widest and everyone else had to use the outside lanes. 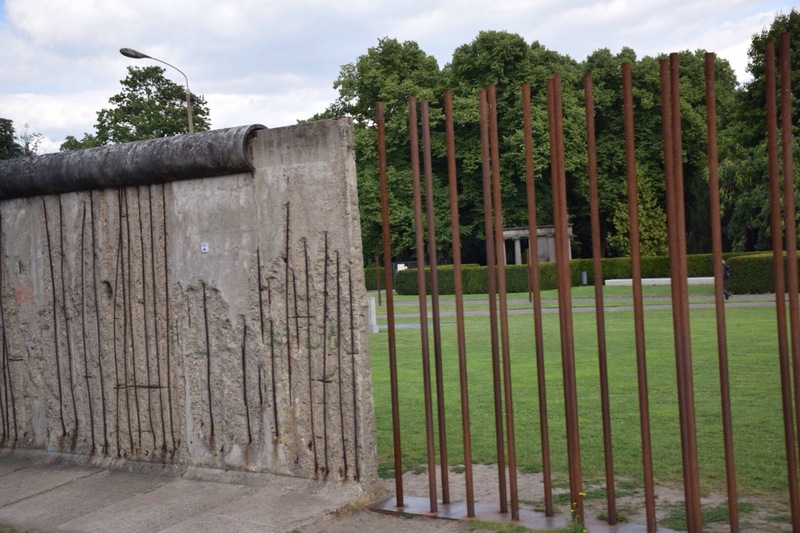 This gate eventually came to be a symbol of the divided Germany because it ended up in the “No Man’s Land” area between the walls dividing East and West Germany. The gate was absolutely stunning, but unfortunately they were setting up for a concert in front while we were there, so my pictures were not great. I found it very interesting that the statue on top represents the goddess of peace and was captured by Napoleon in 1806 and taken back to Paris. 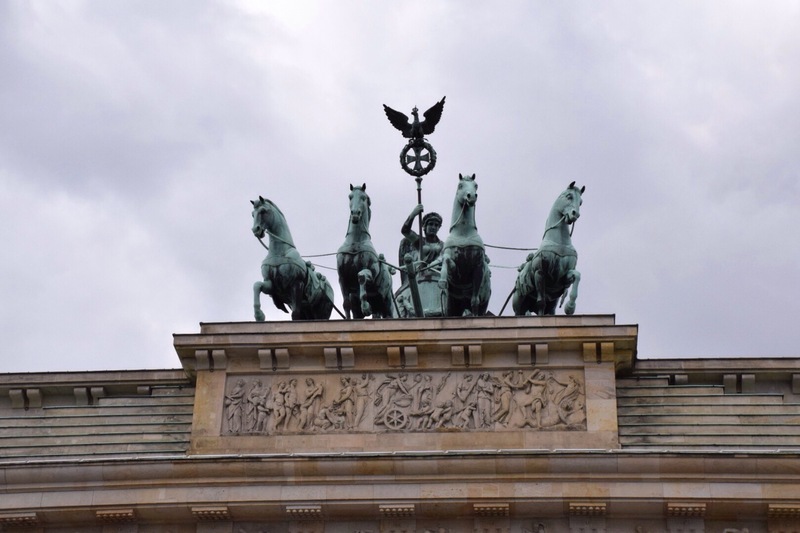 After Napoleon was defeated it was returned to Berlin in 1814. 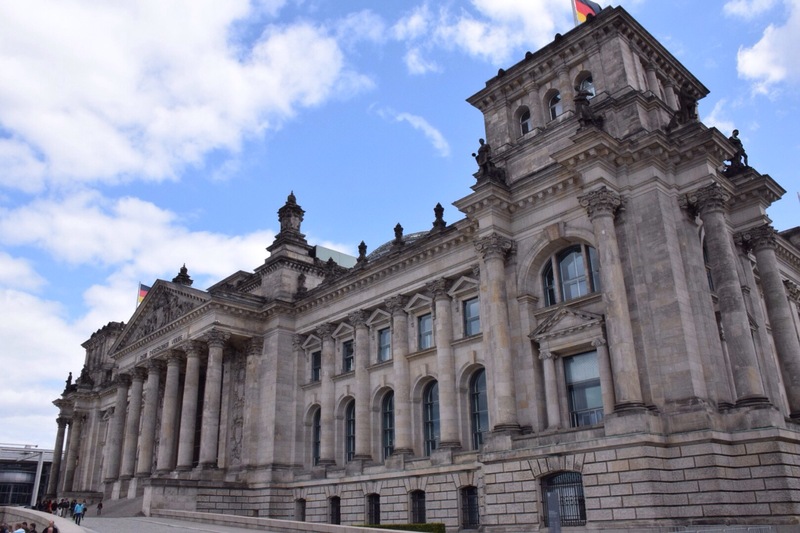 Our next stop was the massive building called the Reichstag, which is the current home of the German Parlaiment. It was an impressive structure. 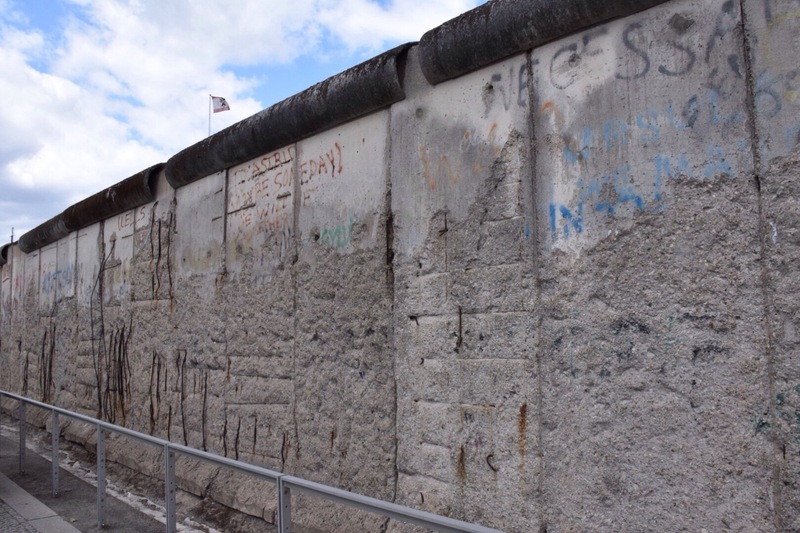 Next came the Berlin Wall, and this was the area where I learned absolutely the most that I didn’t already know. We learned about the meeting in Potsdam immediately after World War II between the U.S. (Truman), France, Britian (Churchill), and the Soviet Union. This was essentially a meeting to determine what to do with Germany, and it resulted in Germany (and therefore Berlin) being divided into 4 different sections. This included one section for each of the 4 world powers represented. The area given to the Soviets ultimately became East Germany, and the remaining sections became West Germany. Living conditions were much worse in East Germany, and this resulted in 4 million people leaving East Germany for West Germany between 1945 and 1961. The Soviets built the Berlin Wall in 1961 to stop people from leaving East Germany. There were actually 2 walls with a “No Man’s Land” in the middle. The wall was 155 km long (85 miles) and persisted until it came down with the fall of the Soviet Union on November 9, 1989. Germany was officially unified on October 3, 1990. 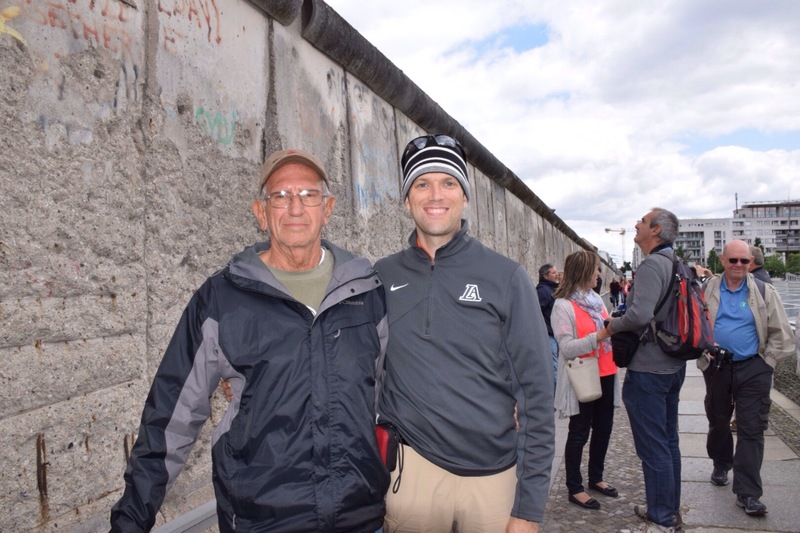 We went to the Berlin Wall monument, which is one of the few remaining sections of the wall that still stands. 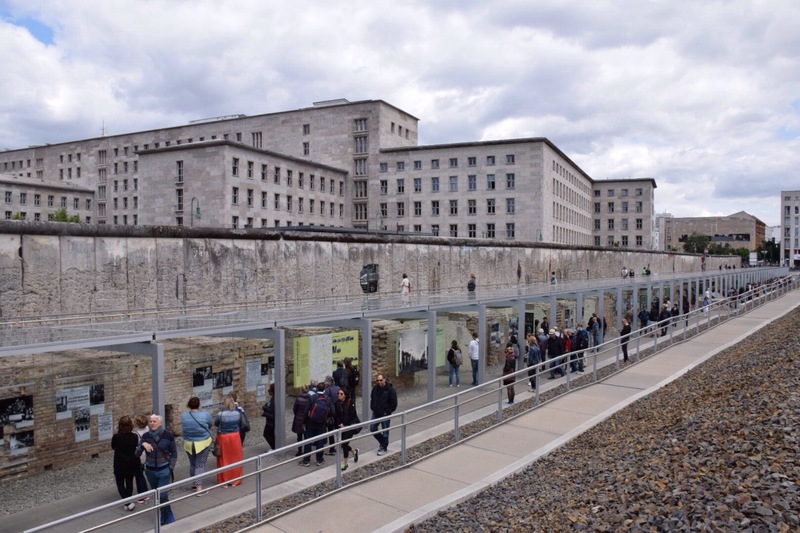 It was again a very moving experience to know what this used to represent and how many people lost their lives trying to get past this wall to freedom. 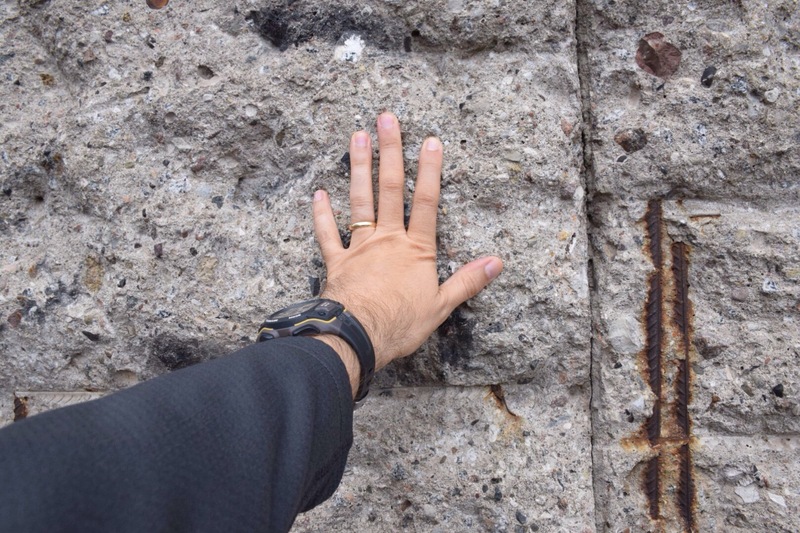 In front of the wall was some remaining brick from the basement of the building that held Hitler’s secret police. 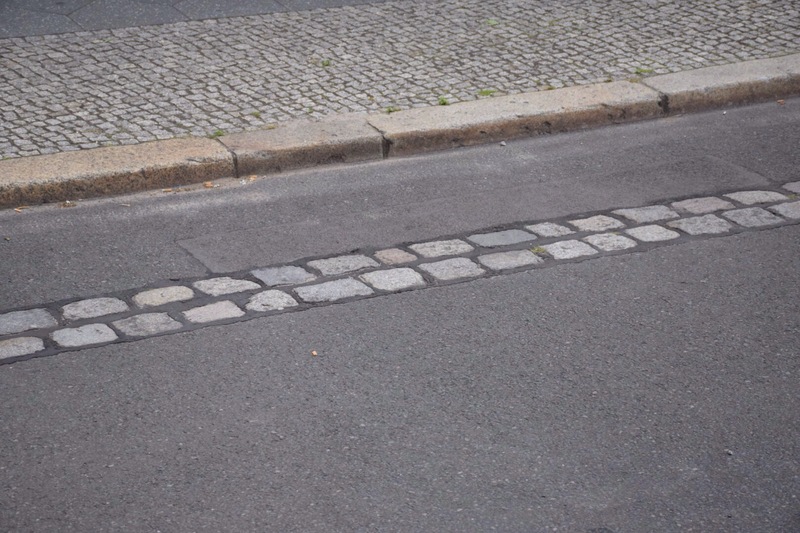 As we drove through the city we were also able to frequently see brick lines in the roadways and sidewalks that outline where the wall used to stand. There were also several sections where vertical iron rods show this line as well. 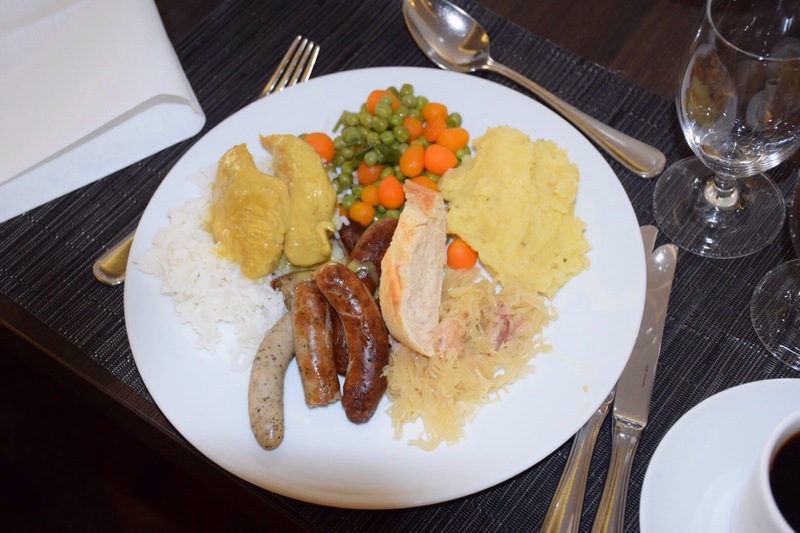 For lunch we stopped at the Hilton Hotel and had a traditional German lunch with Neurenburg sausage, sauerkraut, and Apple streusel among other things. It was probably the best meal I’ve had so far. Across the street from the hotel was the beautiful German Cathedral. 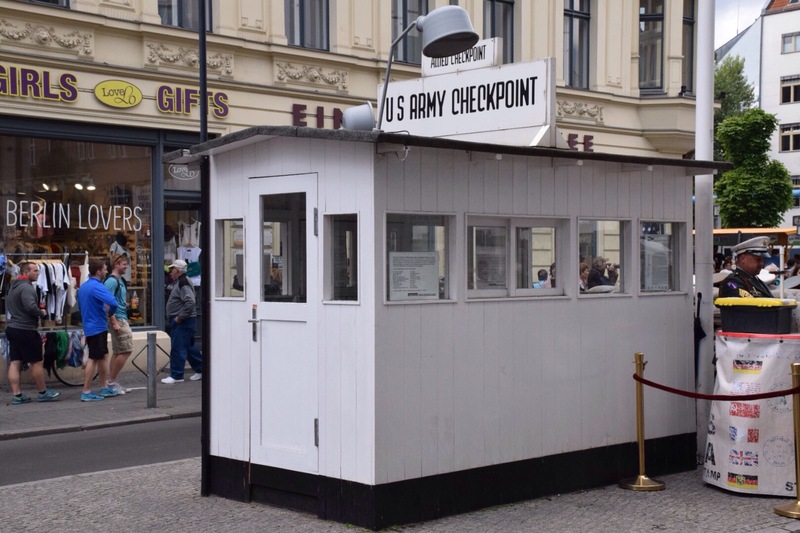 Our first stop after lunch was at Checkpoint Charlie, which was one of three checkpoints used by the U.S. Military to access the American section of Berlin (Alpha, Bravo). It was a little touristy with fake US soldiers standing out in front of the remaining guard house and charging to take pictures with them. 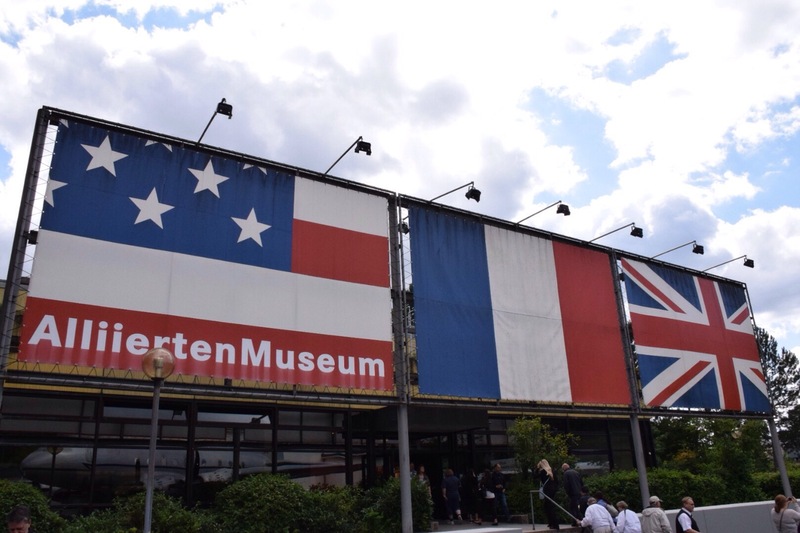 The final historical destination was the Allied Museum on the outskirts of Berlin. 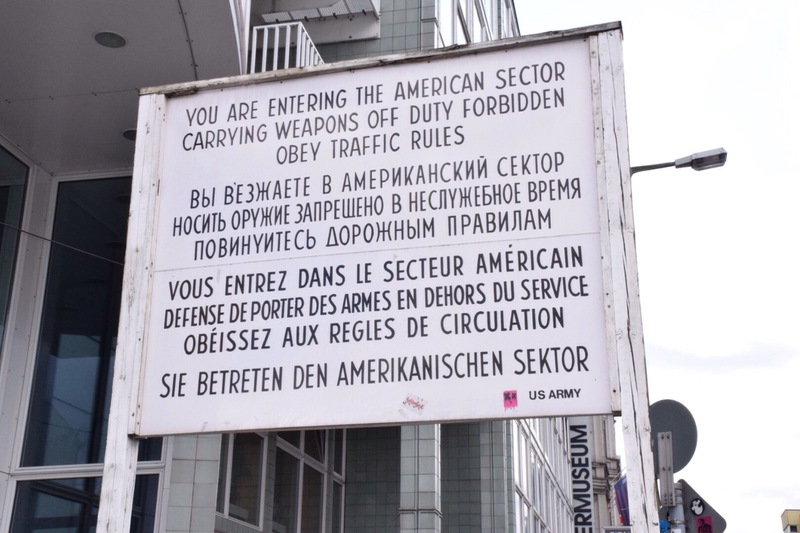 It was fascinating to see so many artifacts from the dividing of Germany and the Cold War. Finally we stopped back in the center of Berlin for a few minutes of shopping before heading back to the train station. On route to the station we were able to catch a glimpse of the stunning Victory Tower. After another 4-hour train ride we arrived at the ship in Kiel around 9:30pm. Chris had served us a sandwich and snacks on the train so I wasn’t very hungry when Daddy and I went up to the Horizon Bistro for a bite. I decided to call my girls while Daddy went to the show and was able to talk to them for about 45 minutes. We lose an hour tonight, but tomorrow is a day at sea, so my goal is to sleep in and do as little as possible.